The Tomorrow Sleep offers a lot of comfort as well. Coils combined with the gel memory foam top layer offer good push-back and bounce, and provide your body with nice contour and hug. This mattress is supportive and allows you to sleep soundly in all sleeping positions, while the soft cover keeps you cool and adds to the comfort. The Tomorrow Sleep does a good job in reducing heat due to the gel foam layer in the top comfort layer combined with the phase-change material in the cover. The nature of its innerspring coils provides good airflow, and the perforated edge panels around the coils contribute to this as well. With the Tomorrow Sleep, sinkage is reduced to the minimum although it is only 10″ in height. 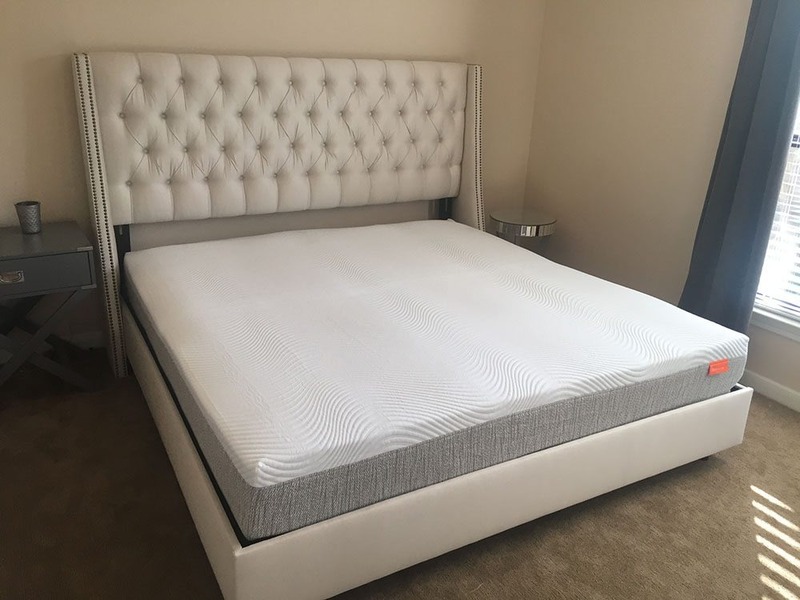 The support coils regulate sinking, while the edge support layer incorporated within this mattress provides good edge support and prevents you from rolling off of the bed. As it is a hybrid coil mattress, it has a certain degree of motion transfer, but nothing too extreme like it is the case with some competing beds. 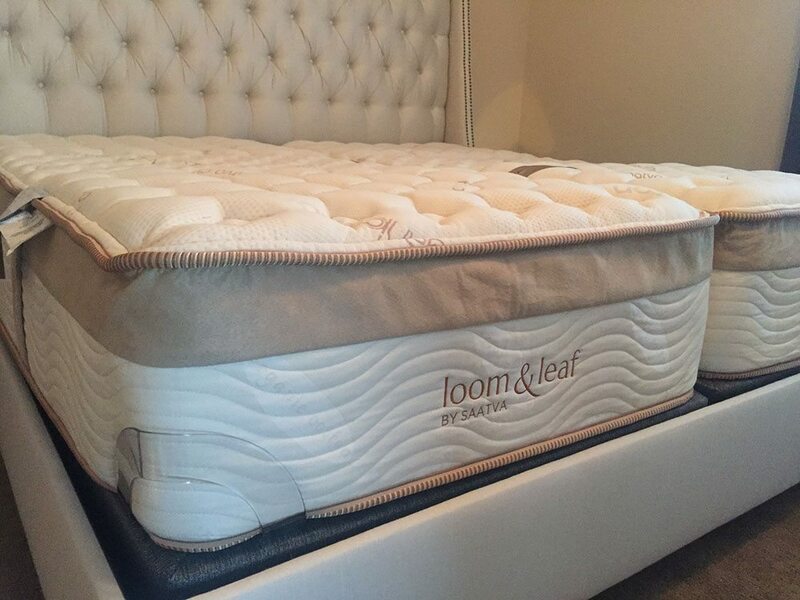 The cover of the Loom and Leaf is vastly different from the normal thin covers of most other memory foam mattresses. It is made from 100% organic cotton with a circular knit top, quilted with a 5/8” foam layer that provides a luxurious feel and acts as a natural flame retardant. Loom and Leaf, like Tomorrow Sleep, offers two firmness options: the Loom and Leaf Relaxed Firm, scoring 6 out of 10 on the firmness scale, (with 10 being the firmest) and the Loom and Leaf Firm, which is an 8 out of 10. This makes the Loom and Leaf suitable for people with different firmness preferences and different body weights like Andrew and myself. Most memory foam mattresses lead to the retention of heat and cause a sweaty sticky feeling, but this is not the case with the Loom and Leaf. Like the Tomorrow Sleep, this mattress sleeps cool and eliminates any feeling of discomfort caused by a build-up of heat. As for smell/off-gassing, it is non-existent with the Loom and Leaf mattresses. They are shipped uncompressed in their natural form, which is not the case with other online mattress retailers and their memory foam mattresses which come compressed in a box. The price of the Loom and Leaf mattresses coming in at around $1100 for a queen is quite reasonable. This is surprising given the exceptional quality materials used in their construction and the direct-to-home shipping and installation. Below is our comprehensive side-by-side comparison of the Tomorrow Sleep vs. Loom and Leaf mattress.